02.20.09: It’s official – Michael Kors is using head-to-toe neon green in his Fall 2009 collection. The 80s are really and truly back. This is one 80s fashion trend that I am frankly a little surprised to see resurrected. Best put on your Wayfayers; things are going to get bright. 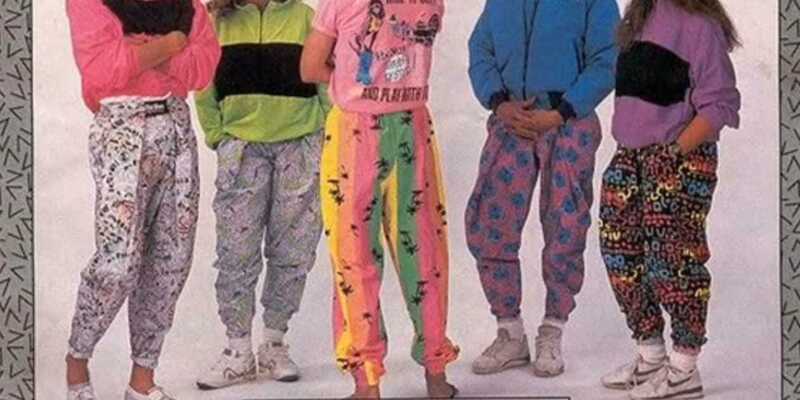 Clothes in the eighties had a tendency to go bright. 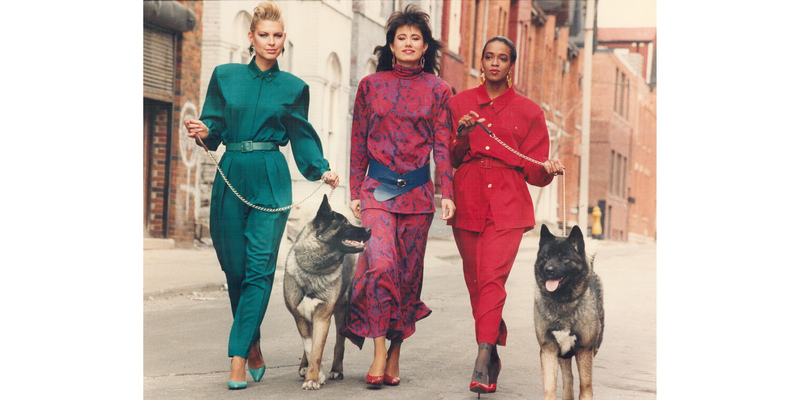 One such trend was neon colored clothes (although we called it fluorescent at the time). 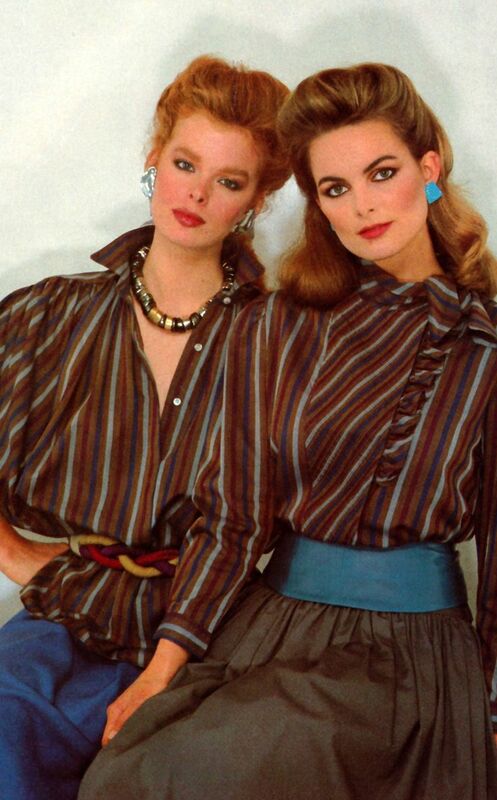 These eighties fashions for women would make you wear your sunglasses at night. 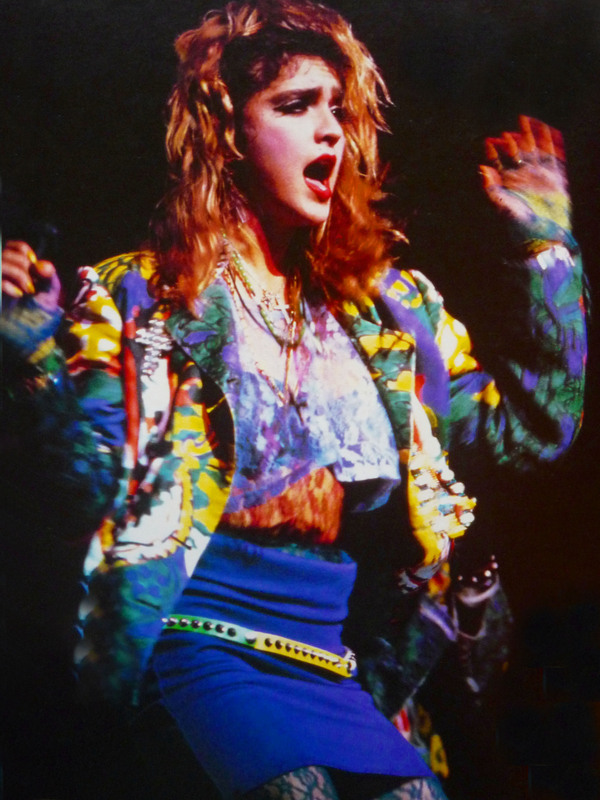 80s fashion took a trip down the neon rainbow in the mid eighties. Many of the neon clothes came in one of the most popular styles of the day – an over-sized sweatshirt. Colors such as hot pink, yellow, orange and green were everywhere! Not to be left out of the 80s color phenomenon, accessories turned neon as well. Earrings that could dangle suddenly matched bright colors. Knock off wayfarer sunglasses with neon side pieces were all the rage (shown below). Neon spilled onto jelly bracelets which were meant to be combined with many other colors to coordinate. An arm loaded with neon colored jelly bracelets was like totally awesome! It might take awhile to get them all off, but hey – you had to look good! Anything from the 80s that could be colored neon was – at least for awhile. Even gloves and coats took on a bright hue. Fingerless gloves, similar to the ones Madonna, Boy George and other musicians of the time wore, were orange, hot pink, yellow and green. Another trend of 1980s clothing – jelly shoes (which have remarkably made a big come back, although not in neon colors) – were produced in neon colors. If you were going out in bright colored duds, everything had to match! Neon shades of purple and blue tried to make an impact, but they couldn’t hold a candle to their brighter counterparts, pink, yellow and green. Eventually all forms of neon faded and a more subdued color palette emerged again. Thought of the day: Nothing says HOT like hot pink.